A few unfortunate events can lead to a cycle of debt which quickly becomes impossible to overcome. The law offers a solution by providing a way for you to eliminate some or all of your debt. Designed to provide honest but unfortunate debtors a “fresh start,” the Chapter 13 can allow you to reorganize for your financial future, and halt bill collectors, wage garnishments and lawsuits to give you the breathing room necessary to do so. If you qualify, a Chapter 13 will allow you to retain your home while paying off a percentage of your unsecured debts. You will be required to make monthly “plan” payments to the Bankruptcy Trustee. The Bankruptcy Trustee then pays your creditors. The plan payments will need to be made for three to five years, after which time you will owe nothing to your pre-filing unsecured creditors. ANAND LAW can devise an economically feasible plan which will allow you to retain your home and pay off unsecured debtors at an affordable rate. If you are facing foreclosure, filing for Chapter 13 bankruptcy may allow you to save your home. ANAND LAW can navigate the bankruptcy and real estate laws in order to allow you to halt foreclosure and make reasonable payments to continue living in your home. In a Chapter 13 bankruptcy, you can remove fully unsecured liens from your primary residence. This includes junior mortgages (including HELOC), HOA, tax, and judgment liens. If you have over $1,184,200 in secured debt, you are not eligible for a Chapter 13, but you can still reorganize your financial situation with a Chapter 11. A Chapter 11 can be used to prevent foreclosure, retain multiple properties, and remove liens and “cram down” mortgages (i.e. reduce the mortgage to the market value of the property). Anand Law can evaluate your situation and determine what is best for you. Click here for more information on Chapter 11 bankruptcy. Rule 3007 of the Federal Rules of Bankruptcy Procedure (“FRBP”) requires an objection to be “filed and served at least 30 days before any scheduled hearing on the objection or any deadline for the claimant to request a hearing.” In addition to the FRBP, the Local Rules must also be complied with. The Local Bankruptcy Rules (LBR) also require 30 days notice. See LBR 3007-1(b). Each Judge also has their own so-called “Local Local Rules,” and compliance with these is also required. An objection may be filed as a Motion or an Adversary Proceeding (“AP”), but compliance with other rules is required, and in certain instances an AP is required. One such instance is “a proceeding to determine the validity, priority, or extent of a lien or other interest in property” (see FRBP 7001(2)). In order to be eligible to file for Chapter 13 Bankruptcy, the filing individual(s) must owe less than $1,184,200 in liquidated, noncontingent secured debts, and less than $394,725 in liquidated, noncontingent unsecured debts. 11 U.S.C. §109(e). The debt limitations are adjusted every 3 years, with the next adjustment set to occur on April 1, 2019. 11 U.S.C. §104(b). Secured debts include home mortgages, judgment liens, and car loans. Unsecured debts include credit card bills, medical bills, and personal loans (if a personal loan is secured by property, it will count towards the secured debt limitations). It is important to keep in mind that a Chapter 13 debtor (the party filing, including a spouse in a joint petition) must meet these debt eligibility limits as of the petition filing date. If the debts are lowered after the filing date, this will not apply retroactively to make a debtor qualify if they did not qualify at the time of filing. See, In re Smith, 419 B.R. 826, 829 (Bankr. C.D. Cal. 2009). See also, Scovis v. Henrichsen, 249 F.3d 975, 981 (9th Cir. 2001) (Eligibility to be a Chapter 13 debtor is determined as of the petition date). Real property valuations are used in Chapter 13 bankruptcy proceedings to determine if liens are unsecured or secured, and thus whether or not they can be removed. 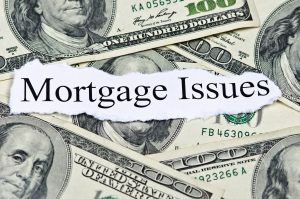 Valuations are also used to determine if the debtor (the filing party) falls within the debt eligibility limits—if a lien is fully unsecured, it will go toward the unsecured debt limitation, and if it is fully secured or partially secured, it will go toward the secured debt limitation limit. Property values change constantly, making a critical question, when does the court value the property for the purposes stated above? Unfortunately, due to a lack of clarity in the bankruptcy code, the time for determining when a property is valued varies by Judge. In re Abdelgadir, 455 B.R. 896 (9th Cir. BAP 2011). The United States Bankruptcy Appellate Panel of the Ninth Circuit determined that the valuation date for a secured claim was the petition date. Judge Neil W. Bason of the Central District of California has previously had a “policy of using current value” or in other words of valuing the property as of the current date (the date of the order being requested). ‘Cramming down’ refers to reducing the amount of the lien to the market value (i.e. removing the portion of the lien that is unsecured). Cramming down of liens can be done through Chapter 11 on properties that are not a primary residence. Liens that may be crammed down include mortgage, HELOC (home equity line of credit), HOA (Homeowners’ Association), and judgment. In a Chapter 13 bankruptcy, you can remove fully unsecured liens from your primary residence (i.e. the balance owed on higher-priority liens must fully exceed the market value of the property). This includes junior mortgages (including HELOC), HOA, tax, and judgment liens. WHAT IF I MISS A PLAN PAYMENT (CHAPTER 13)? If due to lower income or other unforeseen circumstances that can be documented, the plan can be amended. If the plan is less than 60 months, it can be extended to allow for missed payments to be made up.